LOS ALAMITOS, Calif., Oct. 15, 2018 — Arrowhead Products of Los Alamitos, California has named STS Component Solutions of Palm City, Florida an authorized distribution partner for their commercial aftermarket products. 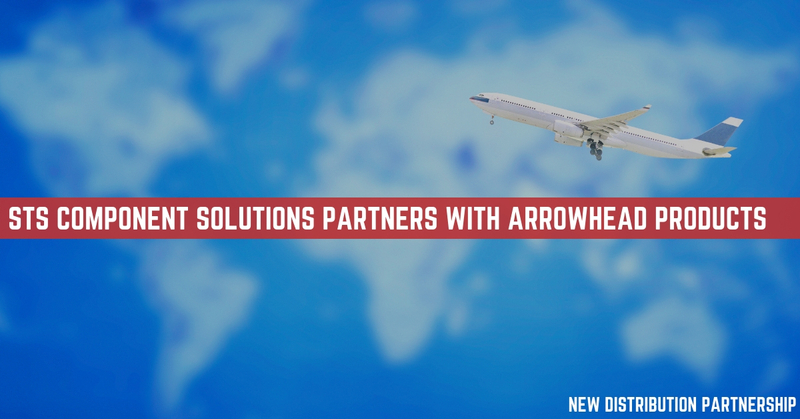 Arrowhead Products is an OEM manufacturer of aircraft Air Distribution Ducting Systems, supporting nearly all commercial and military aircraft flying today. Our capabilities expand throughout airframe and engine applications, including Pneumatic Systems, ECS, Engine Bleed Air, Thermal Anti-Ice & Piccolo Tubes, Starter Ducts, EBU & QEC Ducts, Engine Exhaust Nozzles, Cones and Plugs, APU Ducting, Manifolds, Insulation Blankets and Covers, as well as Low Pressure Interior Cabin Ducting. Our aftermarket division supports full OEM repairs through our modern part 145 Repair Station and Factory New Spares through our OEM License agreements. Additional information can be found at www.arrowheadproducts.net. STS Component Solutions prides itself on providing global aircraft inventory solutions to its customers, 24/7/365. On-time delivery of certified aircraft parts lies at STS Component Solutions’ core. The organization specializes in materials management, OEM distribution and supply chain solutions. We have a proven track record for locating hard-to-find aircraft / engine parts and stock a rotable inventory in strategic warehouses around the world. In today’s fast-paced world of aviation, STS Component Solutions is the one global company that can provide the aircraft inventory and on-time delivery you need to keep flying! To learn more, please visit www.stsaviationgroup.com or call 1-888-777-2960.